Replacing damaged or missing teeth is important to maintaining a healthy, attractive smile. 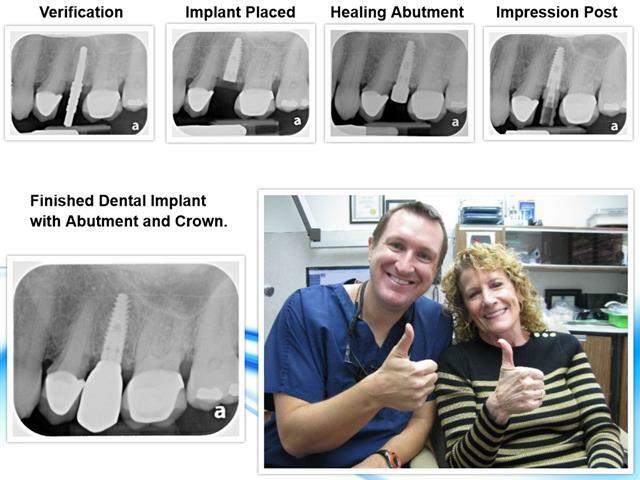 Pasadena dental implants dentist Dr. Nugent is pleased to offer complete implant dentistry treatments. This sophisticated dental treatment can greatly improve your health and quality of life by providing you with a complete, attractive smile. If you suffer from tooth loss and would like to learn more about this comprehensive solution, read the information below and contact Dr. Nugent today at 713-941-8261. Dental implants are considered the most complete, advanced and effective solution to tooth loss. They can be used to replace a single tooth, several teeth or an entire set of teeth. 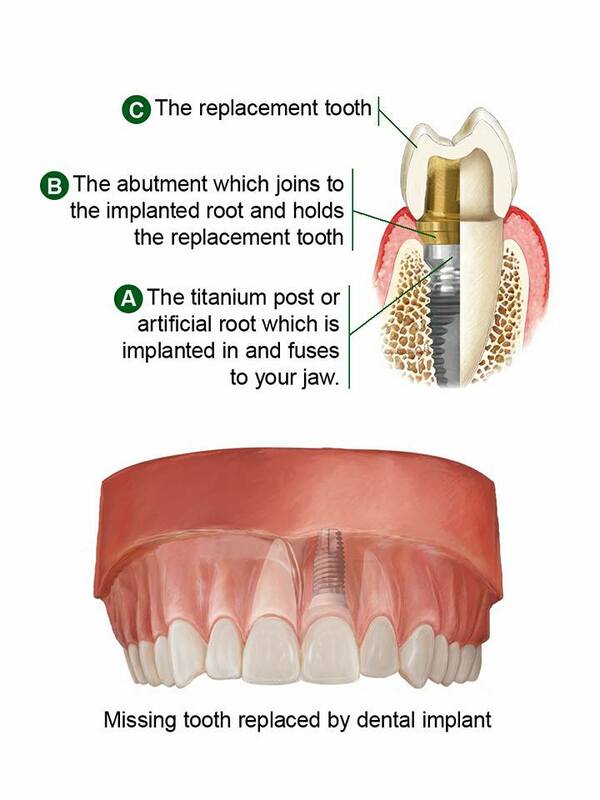 Dental implants act as an artificial tooth root that is placed into the jaw bone. 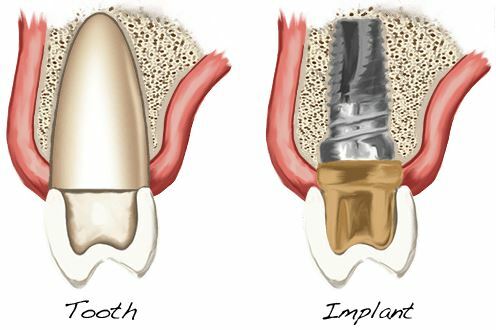 The implant is then used as an anchor for the placement of an artificial tooth, or dental crown. Unlike dentures, which can be removed at any time, dental implants are permanently placed in the jaw just like the natural teeth. The porcelain dental crowns that are placed atop the implant also look and feel similar to the natural teeth. Patients who have lost a single tooth or several teeth may consider dental implants as a way to restore their oral health and the appearance of their smiles. Dental implants candidates must have sufficient bone structure to adequately hold the implant. It is also important that the gums are healthy prior to any implant procedure. Dr. Nugent will direct any necessary periodontal care prior to placing dental implants. Finally, it is important that patients maintain good oral hygiene habits after the implants are placed to ensure their longevity. Regular dental implants are placed over the course of several dental appointments. During the first surgical appointment, Dr. Nugnet will wisely place the implant or implants in the bone, before closing the area with sutures. After the gums have healed and the implant has fused to the bone (osseointegration) you return to the practice to have the implant restoration placed. Dr. Nugent will place a restoration (a dental crown, implant-supported bridge, or implant-supported dentures) on the implant. This creates a beautiful, natural-looking smile. Dr. Nugent understands that dental implant procedures can be daunting for patients with dental phobias or anxiety. As a prominent sedation dentist, he offers patients the option to have their implant surgery with or without sedation. In addition to being used to replace the teeth, dental implants can be used to stabilize dentures. Many patients who have dentures are bothered by the need for adhesives or have problems with the fit of their dentures, which can cause them to constantly slip. 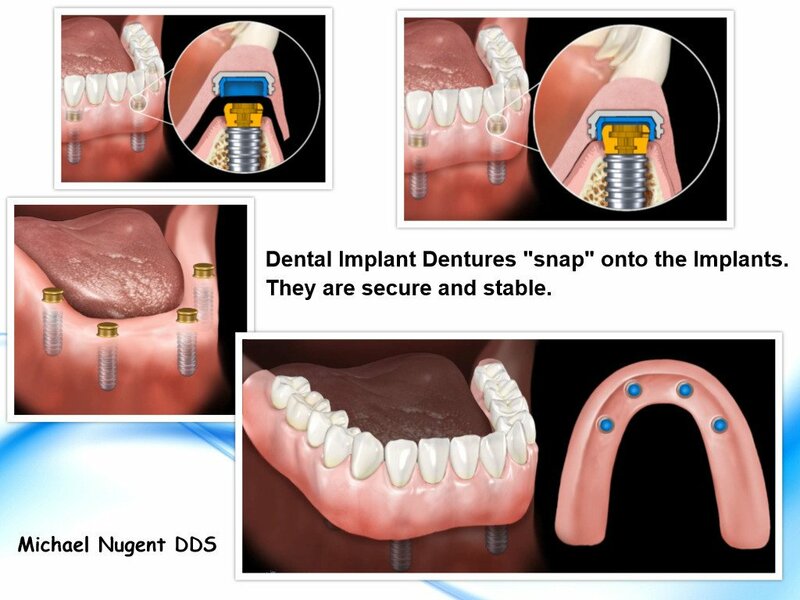 Dr. Nugent is pleased to offer dental implant dentures to provide stable and secure dentures. The implant dentures provide unprecedented stabilization and comfort, as well as improves a patient’s ability to eat and speak. Get the best in dental implant care with Dr. Nugent and his amazing team. His office is located at 3421 Burke STE A, Pasadena, Texas 77504.